Tweak was tasked to redesign Gastrolyte branding and packaging. 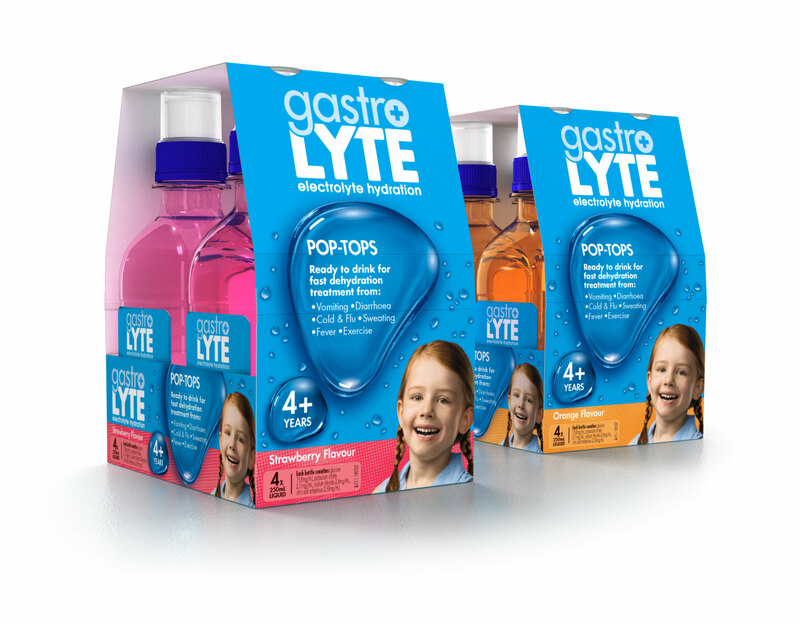 We needed to shift Gastrolyte from ‘Treatment Only’ to ‘All Family Hydration Solutions’ as well as elevate consumer perceptions of the brand with the emphasis on hydration versus gastro. Tweak developed a master brand design to establish visual blocking and colour recognition on shelf and clearly define adult and paediatric ranges within the master brand. This positions Gastrolyte as Family Hydration solving all of your family needs.